As the calendar counts down and semesters at schools and universities around the world draw to a close, educators are looking forward to taking a few well-deserved days to rest, recuperate, and review their plans for the upcoming year. And for a growing number of educators, that time for reflection will include a serious look into the flipped classroom — from how it works, to how to get started, to how to make an existing flipped class even better. For those who haven’t already heard the buzz, flipping the classroom is an innovative pedagogical approach to enhancing student engagement — simply by inverting the traditional “lecture/homework” dynamic. In a flipped classroom, the teacher provides lecture materials ahead of class time, often in the form a short video lecture students can watch at home, along with a handful of supplemental reading or viewing assignments. Students consume that material as “homework”, then come to class with all the foundational information they need in order to participate in interactive learning discussions and activities that push them to apply what they’ve learned. For teachers, flipping opens new opportunities for sharing information. No longer required only to teach what can be presented or demonstrated in a classroom, flipping enables educators to share presentation slides, screen recordings, mobile video recordings from off-site field trips, tours, and demonstrations, and almost anything else you can imagine — as long as you have the right tools to make it possible. So go further! Here are 10 of our favorite tools for making flipping the classroom easier, more versatile, and more fun. For some subjects, flipped classroom videos are just easier when they can be scripted. But when you’re recording with a webcam, reading from your presentation slides, a webpage, or an actual script means you’re looking away from the camera — and your students! 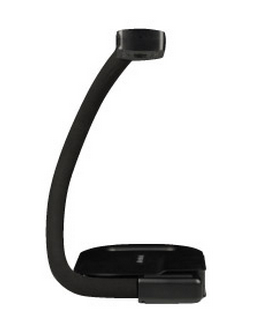 Bring your eyes back on the class with the SeeEye2Eye webcam teleprompter. 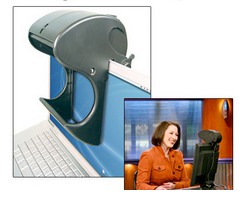 This handy little tool mounts right over your external webcam (there’s a version that works with built-in laptop webcams too), making it easy to read right from your notes without breaking eye contact. Unfortunately, Bodelin has discontinued the current version while it puts the finishing touches on a new generation — so you can click the link above to wait for the new version, or click this one to find the old version from a reseller. Just because you’re flipping your classroom doesn’t mean you have to give up the traditional tools — a document camera can serve as your digital overhead projector, and is a simple way to integrate physical documents, textbooks, review sheets, photographs — even small demonstrations — into your inverted class lecture. The AVerVision U15 is lightweight, flexible, USB-powered, and records crisp HD video at 30 frames per second — it’s an exceptionally versatile recording tool to help you record just about anything that you might otherwise have shown students on your desk. This little $4 wonder makes it simple to extend the distance of any USB device (say, a webcam or a microphone) up to 50 feet away from your computer. For any recording use where it’s valuable to have the camera in the back of the room but the laptop up front with the professor or presenter, these little converters help eliminate serious headaches. Great lighting is key to a great video. If you’ve never tried it, take your regular webcam or camcorder and record a few quick sessions, varying the lighting each time. You’ll be surprised how much the image quality changes depending on your lighting. 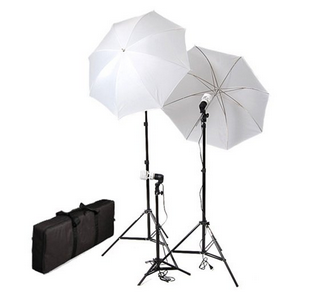 At just $55, this set of 3 professional-quality lights is an affordable way to improve the final look of just about any video — without spending a cent on your recording hardware. Step back from the camera — and still get great audio. Just plug one side of this wireless microphone system into just about any recording device (all it needs is a 3.5 mm mini-plug microphone input) and clip the mate to you. The pair connect via bluetooth, so you can set up your camera to take in just about any shot — standing back in a lab demonstration, on the move in a walking tour, or just capturing the wide-angle view of the subject of your choice. 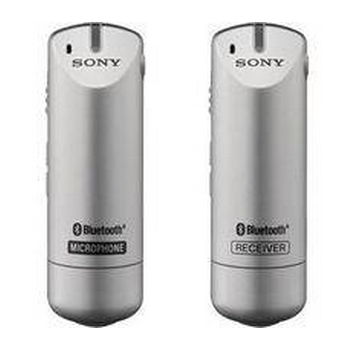 The mics have a range of up to 150 feet, so you can really move around without losing great audio. While we like the Sony system for any occasion where you may be away from your camera, we’ve been quite impressed by this simple USB mic from Samson for all those instances where you’ll be recording your flipped lectures in a more traditional setting. 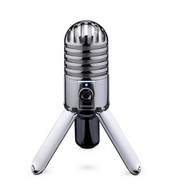 Not only does this microphone pick up amazing quality sound, but it offers a ton of adjustment options, connects to virtually any computer or recording device via USB, and folds up to fit in the palm of your hand. 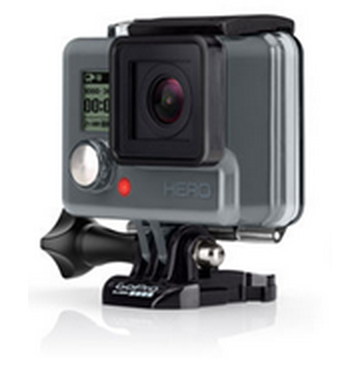 Normally $150, it’s on Amazon right now for $49. Whether you’re flipping a classroom, recording a lab demonstration, sharing review notes or a study guide online for your class, or just taking part in a video conference, you want a high-quality versatile webcam — and that’s just what we like about the GoPro Hero. You might think of GoPro as just for action sports, but this handy little recorder is great for a variety of purposes — it mounts anywhere (which makes it perfect for hands-free video), records 30 frames per second at 1080p HD, and even comes with a waterproof casing (if you happen to be teaching marine biology, aquatic safety — or just happen to be recording with us in the rainy Pacific Northwest). Once you’ve started looking for new opportunities to create interesting, engaging flipped classroom video, you’ll see ideas everywhere! Whether it’s touring local museums or production facilities, talking with local experts, or just taking in a serendipitous chance to teach, the key is having a camera ready at hand. While many of today’s smartphones include great HD video cameras, most leave you with only one lens option. 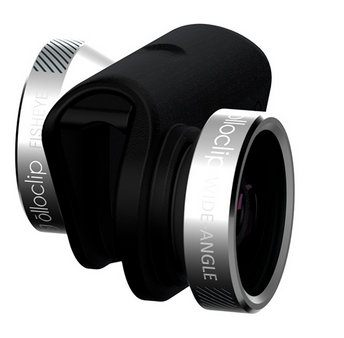 That’s what makes the Olloclip such a useful accessory. With options for most Apple iPhone and Samsung Galaxy phones, the Olloclip provides you with a snap-on tool that gives you up to four new lenses for your recordings — wide angle, fisheye, 10x macro, and 15x macro. It’s a pocket-sized way to make sure that no matter what you’re sharing, you’ve got the right lens to record it. Microsoft PowerPoint completely changed the way just about all of us teach, share, and otherwise visually present information. But a new wave of information design has shown slides aren’t the only way to make the message memorable — today, several new presentation technologies offer presenters the ability to present a comprehensive message in a single panel (see what we mean in our sample Prezi video, linked to the side). 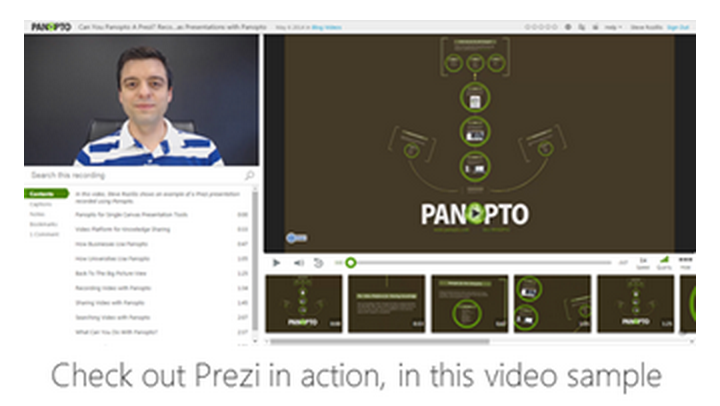 Perhaps best known of the group is Prezi, which allows users to build single-canvas presentations online. For instructors in a flipped classroom, Prezi can offer a new way to construct a narrative for your daily lecture, a new way to sequence facts and information, and a new way to animate your lesson to help make the material more visual and more engaging. You can sign up for free on Prezi’s website. The goal of flipping your classroom isn’t just to change the way you deliver lectures — it’s to open your class time to better facilitate student discussions, foster interactive learning, and enable students to really get into the details of the lesson. Most often, educators can simply open the floor for questions and insights to get class time started — but sometimes, it helps to have a little technology on your side. Poll Everywhere is an app that enables teachers to post a question to students, who then respond via a laptop or smartphone. Poll Everywhere helps to make it clear who’s really watched the lectures and who really understands the material, as well as which students or concepts may need extra attention. Best of all, if you’re using PollEverywhere’s Web Voting system, you can even embed your poll right into Panopto using our Embed Anything feature. Have Another Favorite? Let Us Know! Have another device, tool, or other piece of video equipment you find yourself using over and over again? Tell us your favorites on Twitter – we’re @Panopto, of course! Want To Know More About How Your Institution Can Leverage Technology To Flip Your Classrooms? Take a deeper look into the flipped classroom evolution, including the foundational strategy and early results that have so many teachers excited, in our white paper, So You’ve Decided To Flip Your Classroom.